The water vole is one of Britain's most endangered mammals. A native of the British Isles, and popularised in modern culture as 'Ratty' in Kenneth Grahame's The Wind in the Willows, the water vole is a cherished resident of our rivers, canals, streams and ponds. But this once ever-present mammal, like so many others, is now in danger - during the 1990s Britain's water vole population declined by over 80 per cent, and it is now fully protected by law in England and Wales. 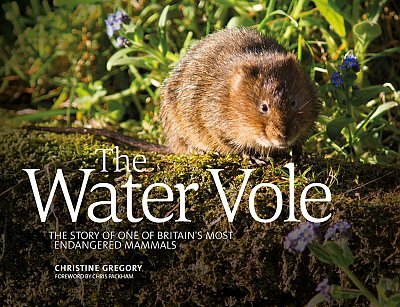 In The Water Vole, Christine Gregory, author of Brown Hares in the Derbyshire Dales and A River in Time, tells the story of the water vole, past, present and future, principally through its history in the waterways of Derbyshire. Having spent several years studying Derbyshire's water vole population and habitats, and capturing their behaviour intimately through her photography, Christine has developed a relationship with many of the custodians of the county's waterways, who are vital to the survival of the water vole. Decades of painstaking research into the decline of the water vole and the visionary work of conservationists give much cause for hope. Respecting our countryside and wild places and rebuilding the health of our rivers is key: we all have a role to play in the water vole's future. Christine Gregory is a writer, painter and photographer. She has lived in the Derbyshire Dales since 1990, exploring it extensively and developing a close understanding of its natural history. Her first book, Brown Hares in the Derbyshire Dales, was first published in 2010 after several years of following, studying and photographing these iconic animals. A second edition was published by Vertebrate in 2012 with a new foreword written by the distinguished mammalogist Dr Derek Yalden, then president of the Mammal Society. Her second book, A River in Time: the story of a Peak District river, was published in 2013 with a foreword by Lord Chris Smith, then chairman of the Environment Agency. Her books reflect a lifelong love of the countryside and concern for the environment. Having taught social and political studies in adult and community education for more than twenty years in the first part of her career, she went on to teach radio skills and print journalism in further education and she has been a course writer for the Open College of the Arts. She has produced community-based radio programmes for BBC Radio Sheffield and features for BBC Radio 4. She now concentrates full time on writing, painting and photography.